The World Cup hosted by Russia could mean "there will be young women who meet someone and then give birth... I hope not." Russian women should refrain from sleeping with visiting World Cup fans so as to avoid becoming single mothers with mixed-race children, a lawmaker who heads the parliament's family committee said today. 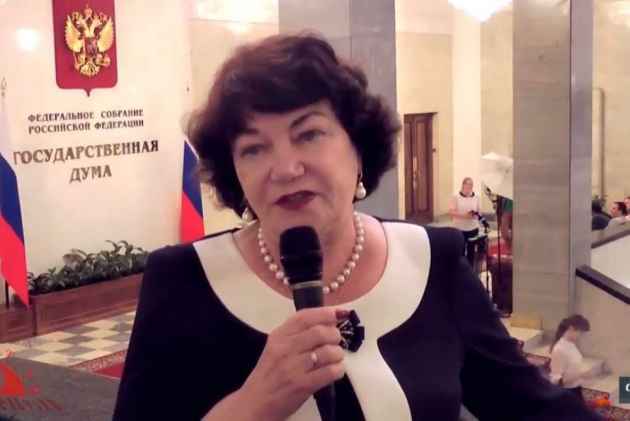 Tamara Pletneva, a 70-year-old Communist who leads the lower house's family, women and children body, told Govorit Moskva radio station she hoped women would not date visiting fans and get pregnant. Asked if the World Cup could boost Russia's birth rate -- a key goal for President Vladimir Putin -- Pletneva replied: "We should be giving birth to our own children." Children who are mixed-race are likely to be brought up in one-parent families, she warned. She said that children risked being "abandoned and just left with their mother" or alternatively being taken abroad by their fathers, urging women to marry "Russian citizens." Her comments drew criticism and ridicule. "We're not in America or Europe. Why should we copy everything? If a woman doesn't want it, no one is going to harass her," she told Gazeta.